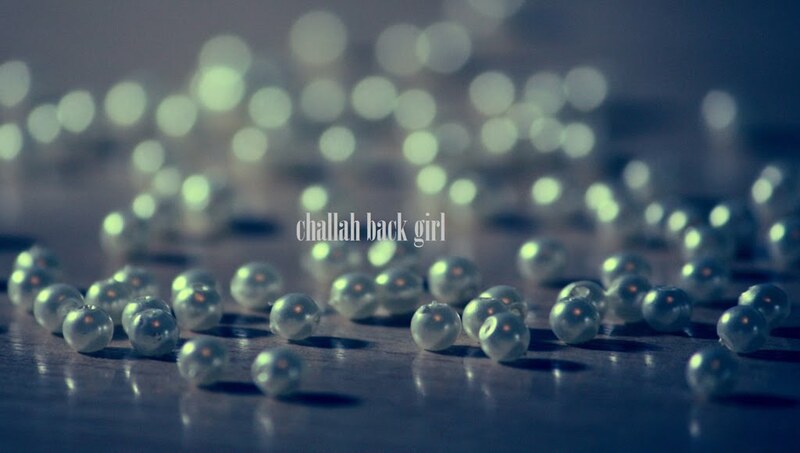 challah back girl: Coming Home. This little baby blog was conceived from nail polish, of all things. After OPI launched its Germany collection last year, I started brainstorming color names with a Jewish theme (see post Nailing It), and it seemed like a good enough excuse to kick off the blog I'd been thinking about. I wanted a space to write about Jewish life, but I honestly didn't expect it to resonate with so many people. It has been an honor to receive positive feedback from Jewish women whom I very much look up to, and to write for their blogs. I have loved hearing from Jews of all walks of life and all around the world. Some of you seem pretty intent on turning this blog into Kallah Back Girl; is there any greater compliment in the Jewish world? I love it. And of course, I have a very special place in my heart for the converts who reach out to me. One question which I've been asked more than a few times in one form or another is: How did I know that I could take on Judaism? And I try to explain, as best I can, that although I am called a Jew-by-choice, at the end of the day, there wasn't a choice. When I found Judaism, it felt like coming home in every part of my being. To turn away from it would have been unnatural and painful, and I would have felt downright homesick for the rest of my life. But it's also not just about me. As I recently explained to one prospective convert, I approached my conversion just as I have ever treated a job interview. Sure, I may want the position and the salary, but I also know that I'm going to be a great asset for the company. I never promise to be a perfect employee; that would be unrealistic. What makes me valuable is my determination to learn and grow from each mistake that I inevitably make. And so it is with Judaism. Every person is different. Even as a convert, I can't tell anyone else how to do it and if they should go through with it, nor am I trying to. But I am also very aware of the current attitude toward converts in the Orthodox world (and some Conservative circles); how most Rabbis will highly recommend sticking with the seven Noachide laws without any consideration of the damage to the person or to the Jewish people. Because that is the reality of the risk: if a person has a Jewish soul and is too rigorously dissuaded from converting, there is a loss on both sides. So how do you know? All I can offer here is my own experience. Shabbat was the turning point for me in deciding to convert, and it was also my returning point. After I had parted ways with my first Rabbi, I began to doubt myself and the path I had been on for the last six months. I stopped communicating with my Jewish friends, and when my non-Jewish friends invited me to meet them at a club one Friday night, I went. I'd been out on numerous Fridays pre-Judaism, so why did this one feel so different? Not once during all of the Shabbats I'd stayed in, did I wonder what I was missing at the clubs. Sitting at the table with my friends, I felt the palpable and painful absence of Shabbat. My advice to anyone having doubts is to test yourself. You're not Jewish yet, so go break Shabbat. Eat a cheeseburger. With bacon. None of those things are prohibited by the Noachide laws. Have a taste of the life you would have without Judaism and see how it feels. The world needs all the good people it can get, so if you choose to be a righteous Gentile, I applaud you. But if, like me, forgoing the mitzvot leaves you wanting to be a Jew more than ever, then listen up: Don't let anyone make you settle for anything else. Don't ever give up. Do whatever you have to do to, as they say, get back to where you once belonged. Welcome home. Oh, I love this. And I totally get it. Thank you for putting it into words. I have eaten the double-cheeseburger. And I've worked on Shabbat. And the entire time -- the ENTIRE time -- I was oh so very conscious of the fact that, for eating, I was eating uber-treif, couldn't/wouldn't say a bracha and wasn't elevating eating to that level of kedusha and so was essentially shutting out Hashem; and for Shabbat, every time I pressed a button (I was teaching CPR and using a DVD) all I could think was "mechalel, mechalel, mechalel"... and my week was totally messed up from not having that day to reset and decompress and reconnect. When my family visited and i couldn't keep Shabbat because I hadn't told them yet (they live 3000 miles away, and I had wanted to talk to them in person), at shkiyah on Friday I froze for a second when I looked outside and realized what time it was, and mourned for the neirot I was not lighting, haha. But I did it in the hope and prayer that, because of breaking that shabbat to spend time with them and have the coming-out-of-the-frum-closet conversation, I would be able to keep many more Shabbatot, iy"H.
It's a journey. You can't just flick a frum-switch on and off, wether you are going through geirus or a ba'alat teshuva. We need to recognize that, and be patient with people who are on their own (I'm saying this as a reminder to myself, haha) because we may not know where they are. Isn't it amazing how everything is so different once you find Judaism? Thank you for sharing your experiences and thoughts--I could not agree more. I hate seeing converts or BTs beating themselves up over having doubts or making mistakes, because those are the very things that can be launching pads into a strong Jewish life. I love this! Thank you both !